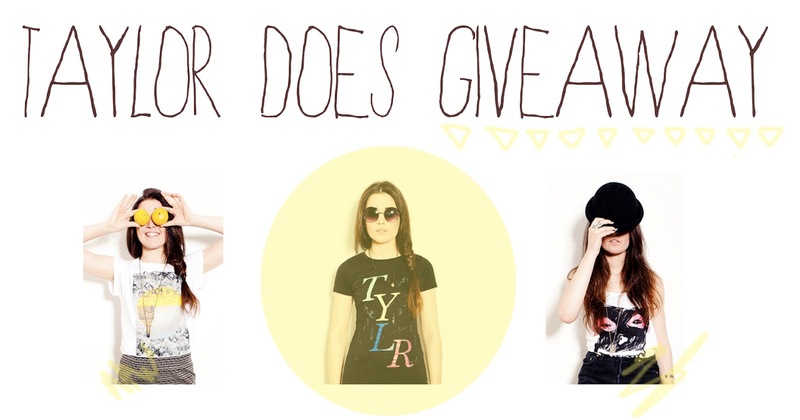 The lovely people at taylor does are giving my lovely readers the opportunity to win an item from their lovely summer collection, that i shared with you here, You can view the entire collection on their webstore. Remember Ella readers can use the discount code “RUBYRAELOVE” you will receive 25% off your entire order. please let us know what item is your favorite in the comment. The closing date is Sunday 13th May so you have a two weeks to enter, you can enter via twitter by following Taylor Does with the hash tag #TaylorDoes but remember to leave a comment below so we no which item is your favorite. I've liked the page, all the clothes are amazing, so wearable! I think my fave has to be the white "missing: sun" top though! Aw I love "Live Love – White" tshirt! LOVEEEE! Thanks for the giveaway, good luck everyone!! I've liked the page (http://www.facebook.com/pages/-Dust-Swallow-/272545662770185) and i follow you! My favorite item is the "Shaken Shapes". love their stuff, your collaboration is awesome! I wish you & taylor does all the best! my favorite clothing item is the live love white top. Hey. Thanks for the great giveaway opportunity. I managed to squeeze my favourite items down to two, I love the moonscape tee, and the mono swirl tee too. Awesome shop, thanks for introducing us. I like the Taylor facebook page, and follow your blog on GFC. I really like bag head white. I like how everyone likes lots of different tops, but it is really hard to pick just one. I really like the Moon Scape t-shirt in Charcoal. I follow you on GFC as lisamello and I liked their page on fb as Lisa Merriman. All the clothing items are so gorgeous! I liked the facebook page, and I think my fave top is the Manic Swirl-Black. I think my favourite item is the moonscape, dark but pretty. If I won I think I would choose the Polar Squares vest. I love the 'Shaken shapes' t-shirt in white! Wish I was going to a festival now!